Jasmine @ Pt England School: Morning walk. This morning we went for a walk. We were walking on the grass which was wet and frosty. The grass looked white and frozen. When we walking we saw spider webs glistening in the morning sun. 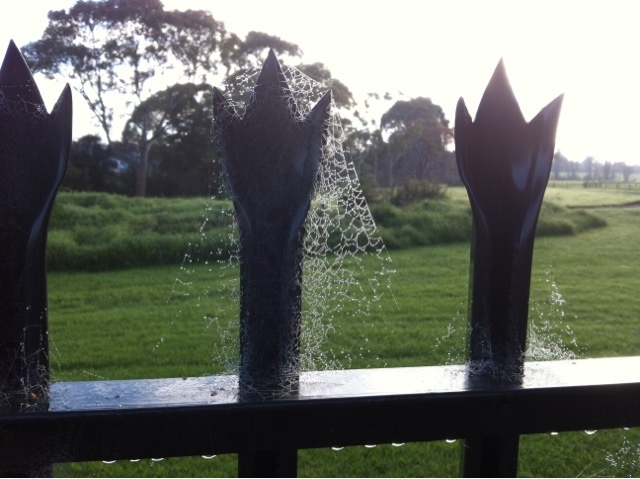 The spider web on the fence look like a hexagon which made the spider web look beautiful. When I was walking through the trees I saw Pt. England beach which was covered in thick fog.